Chinese mobile customers face a similar dilemma as their American counterparts: they have to choose either China Unicom's WCDMA network, China Telecom's CDMA2000 network or China Mobile's more obscure TD-SCDMA offering. Needless to say, this can be a real headache for phone fanatics stuck on a carrier that doesn't support their desired devices, unless they don't mind surfing the web on 2G radio (if compatible at all). 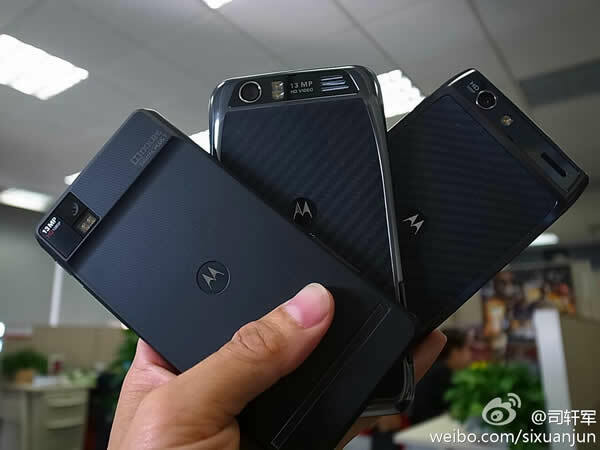 Luckily, nowadays Motorola tends to take good care of all potential Chinese customers whenever it rolls out a new Android phone, including the Droid RAZR (aka XT910, pictured right) in this case. Read on to find out what these two new phones are about. Droid RAZR's CDMA2000 and TD-SCDMA variants teased in China, the latter with 720p display originally appeared on Engadget on Sun, 13 Nov 2011 18:25:00 EDT. Please see our terms for use of feeds.